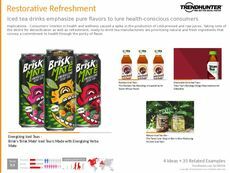 Find Better Ideas, Faster ® with a custom diet beverage trend report, our PRO Dashboard and 80+ categories of premium trend reports. 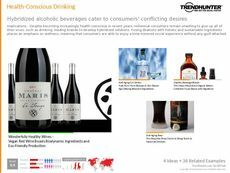 This Diet Beverage Trend Report effectively sifts through the emerging trends in diet drinks seen in juices, coffees, teas and even cocktails. 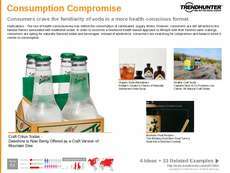 In a growing health-conscious world, it is more common to see healthy ingredients like coconut and various fruits and vegetables infused into drinks. 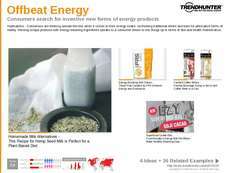 This report explores the newest trends in diet drinks from all across the world. 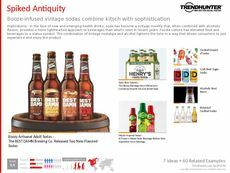 The beverage industry can gain a better perspective of diet beverages through Trend Hunter's report. 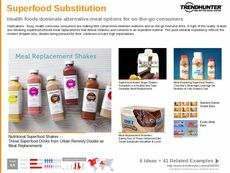 Beverage makers, soda companies, juice companies and health brands will be exposed to the newest and most popular trends in the diet beverage industry, from packaging to organic ingredients. 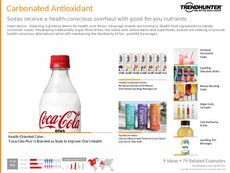 Investing in the Diet Beverage Trend Report will give you and your team a better understanding of the various healthy drink options, accompanied by data that tracks consumer behavior and preferences.